It was a normal day for middle school students in the small town of Milton, Washington as they rode the school bus, until their driver suddenly lost consciousness and started flailing uncontrollably. Suffering from a heart attack, driver Ryan Callis let go of the steering wheel, and the bus careened out of control. Almost immediately, 13-year-old Jeremy Wuitschick ran to the front of the bus, grabbed the wheel, and steered to the side of the road, while taking the keys out of the ignition. Fellow seventh grader Johnny Wood, who had recently learned CPR, ran to the incapacitated driver and began chest compressions, while another student called 911. It was a lazy Saturday morning when fire erupted from a duplex in a small neighborhood in Fresno, California. Robert Wells, 73 years old, who was hooked up to an oxygen tank, could not get himself out. He had difficulty breathing and walking by himself and was desperately trapped. The people who crowded around the scene were in a state of panic and didn’t know what to do, especially after a propane tank explosion accelerated the fire that continued to ravage the home. Then suddenly, out of nowhere, a man braved the fire and pulled Wells out to safety, carrying him on his shoulders. Then just as quickly as he entered the scene, the man disappeared; and the neighborhood couldn’t find him for days after the incident despite his heroic act being recorded. Wesley Autrey, now dubbed the “Subway Superman,” was waiting on the platform with his two little girls when he noticed a man suffering from a seizure, causing him to fall onto the tracks. Knowing there wouldn’t be time for the train to stop, Autrey jumped on top of the man, praying he could keep him from flailing long enough to allow the train to pass on over them both—a clearance of 21inches high. Wesley and the man topped out at 20.5 inches. The term deep sea creature refers to organisms that live below the photic zone of the ocean. These creatures must survive in extremely harsh conditions, such as hundreds of bars of pressure, small amounts of oxygen, very little food, no sunlight, and constant, extreme cold. These creatures live in very harsh environments, such as the abyssal or hadal zones, which, being thousands of meters below the surface, are almost completely devoid of light. The water is between 3 and 10 degrees Celsius and has low oxygen levels. Due to the depth, the pressure is between 20 and 1,000 bars. Creatures that live hundreds or even thousands of meters deep in the ocean have adapted to the high pressure, lack of light, and other factors. Flowers at weddings are beautiful—but their beauty doesn’t have to end there. People donate to Repeat Roses, who picks up the flowers, re-purposes them, and drops them off at hospices, hospitals and nursing homes, where they conjure needed smiles on patients’ faces. And then Repeat Roses takes it one step further–a week later, they pick up the flowers and compost them, saving them from the garbage. Spread smiles to those in need. On your behalf, we deliver beautifully refreshed flower bouquets and arrangements to residents and patients in hospitals, cancer treatment centers, nursing homes, hospice care and shelter facilities. 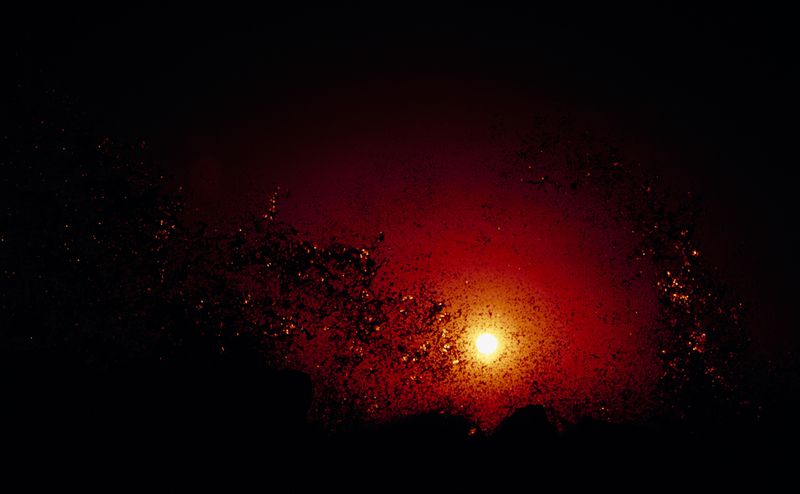 My new year’s resolution was to create more images of a non-commercial, personal nature. Shooting whatever I see while walking my dog Nunzi around our Venice neighborhood. Seems I’m actually doing it and enjoying it and here’s what I’ve shot so far. 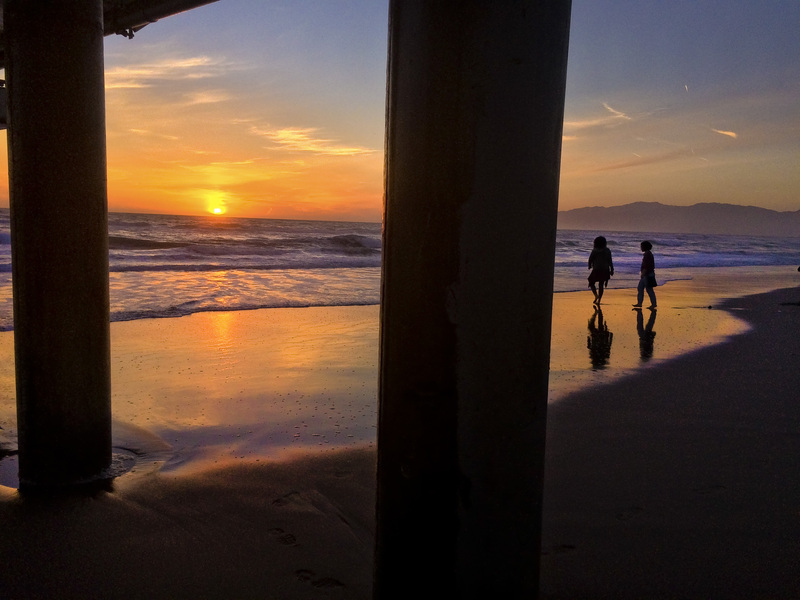 Gazing out from under the pier, enjoying two kids playing tag with the surf. I’ve been using a few of the selections here and have indeed found them quite useful. The app selections cover four categories: For random life stuff, For getting around, For staying organized, For computer and email ease. At our small, fast-moving nonprofit company, everyone does a couple of jobs — and productivity apps help us manage roles that shift between coding, writing/designing and running a full-scale conference twice a year. We asked the TED staff what apps they can’t live without. And beyond the classics—Instagram, Google Maps, Spotify, Uber, Seamless—we found some great apps that might help you too. This app downloads offline, zoomable, searchable maps of major cities, so that even if you are roaming around Tokyo and can’t read any of the signs, you can still find your way around. “It’s good for people like me who travel internationally but don’t like to get data plans,” says Thu-Huong Ha, of our editorial team. From time to time we can find ourselves out of gas, in a rut or even knocked to the ground, and can use a little inspiration to get going again. These sites could lend a hand. Sometimes I get blown away with the awesomeness of the regular things in life. The other day I was in the shower (best place to meditate) and was thinking about the Internet. I rarely think about the Internet in deep ways, yet I use it more in a day that another other object besides my own body. It is SO vast, full of information, and such a great resource for connecting us to others across the globe. I’m thankful for the Internet and its infinite possibilities. And I’m thankful for the dynamic people whom fill the webisphere with their knowledge, creativity, and inspirational words to help us live a little better each day. I get asked all of the time what websites I go to for inspiration and so I’ve decided to roundup my top 10 fave sites for you (in no particular order). 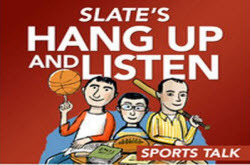 Hang Up and Listen is a weekly sports discussion from the online magazine Slate. It features Slate sports editor Josh Levin, writer Stefan Fatsis (author of A Few Seconds of Panic), and NPR sports reporter Mike Pesca. Instead of putting in a review by me (I listen every week) or a professional smarty-pants reviewer, I’ll just paste some insights from mere average humans for your edification. Then check it out for your own selves. Increase Your IQ..just tune in. Here are excellent apps to assist you in traveling around the world without busting your budget. Thanks to mobile technology, planning a trip is easier than ever. From booking hotels to buying plane tickets, scouting restaurants to figuring out where to go. 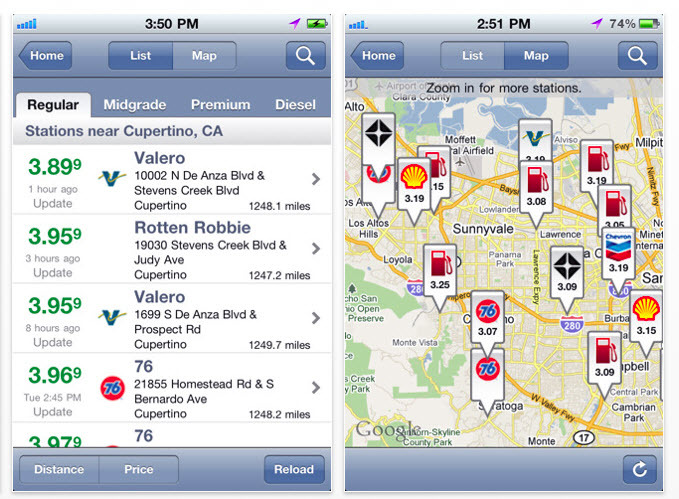 Our top 10 apps help you explore the world without breaking the bank. 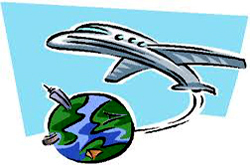 With the rise in the number of travel apps in Google Play and App Store, first time, and frequent travelers are provided with convenient ways to plan their upcoming vacation. 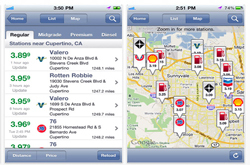 Some of these applications are not only time savers but also efficient tools for cutting your trip’s cost. 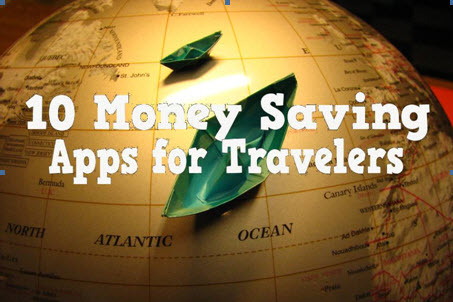 If you’re searching for money saving apps you can use on your next trip, here are ten of them that we highly recommend. Italian student filmmaker Giacomo Sardelli used thousands of photographs taken by astronauts in space and made an exquisite time-lapse video called Further Up Yonder. There have been a lot of these kinds of videos, but Sardelli wanted to do more, to tell a story. I won’t steal his thunder; you can read an excerpt about it below and on his blog. It’s a fun idea. One thing he did that I appreciate is take care to sync the timing of the video with the music. There’s an added kick when the scene changes in time with the music; it ties together the two senses of sight and sound and adds depth to the experience. 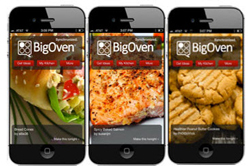 The Big Oven app is a great demonstration of why recipe apps can be better than recipe books. It lists over 250,000 recipes, with a powerful search engine that offers many options for finding a recipe you’d like. BigOven has a “leftovers” search trick, excellent for using up spare food in your refrigerator. And if you just want to be surprised by a new recipe, you can see recipes that Big Oven users nearby are cooking, or dive straight into a random one. The app also comes with a suite of tools to make cooking a meal easier — like its virtual grocery list, based on your chosen recipes. If you’re a keen menu planner, then you may also love its calendar-based planning feature. The recipes are clearly arranged. The app looks just like a traditional glossy book — right down to its photos and clearly marked sections telling you how many people each recipe serves, its calorie content and its reviews. 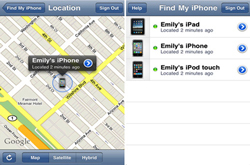 When your dear smartphone is lost, Plan B, Find My iPhone and other apps can reunite you. They find iPhones & Androids so check them out now before it’s too late! Last week, I lost my iPhone on a train. I used Apple’s Find My iPhone feature to track it to a house in suburban Maryland, and the local police were able to return it to me. Because I’d tweeted about these developments, the quest for the phone became, much to my surprise, an Internet-wide, minute-by-minute real-life thriller. 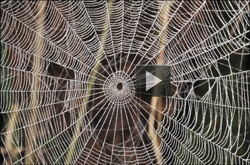 William Eberhard, of the Smithsonian Tropical Research Institute, and colleague Daniel Briceno film spiders in the lab, in the field and under a dissecting microscope to untangle this longstanding arachnological mystery. The age-old mystery is finally solved. The secret to not getting stuck? Watch. Video comes from those smart geeks at Science Friday. 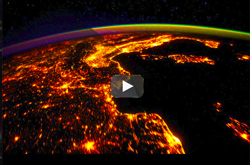 There’s artistry to creating the world and Rob Simmon, art director of NASA Earth Observatory, shows us how. NASA’s collection of Earth-from-space imagery dates back to the Apollo 8 mission, when astronauts snapped a picture of Earth rising over the moon. 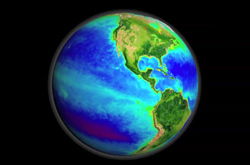 Simmon and NASA scientist Gene Feldman explain how the modern “Blue Marble” images are made and how they relate to scientific study of the Earth. Video comes from those smart geeks at Science Friday. 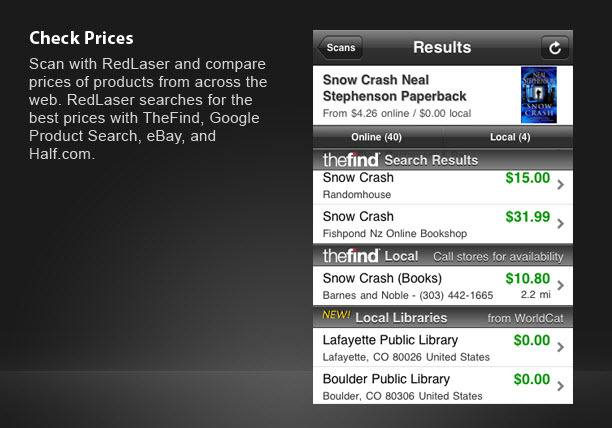 I’ve found RedLaser is the best app for comparing product prices. It also delivers food nutrition and allergen info, finds library books and more. 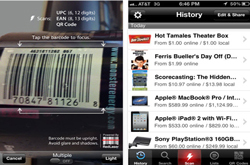 RedLaser uses your smart phone’s camera to scan the barcode of products that you might buy. It then hits the Internet to pull down a list of prices so you can see if you’re getting a good deal. Better price online? Then, with a few taps, RedLaser lets you jump to a merchant’s online site to close the deal or e-mail yourself the details if you prefer to do your online shopping from a desktop. A marine biologist captures nature’s finest underwater camouflage artists performing their almost magical transformations in this intriguing video. When marine biologist Roger Hanlon captured the first scene in this video he started screaming. Hanlon, senior scientist at the Marine Biological Laboratory in Woods Hole, studies camouflage in cephalopods–squid, cuttlefish and octopus. They are masters of optical illusion. 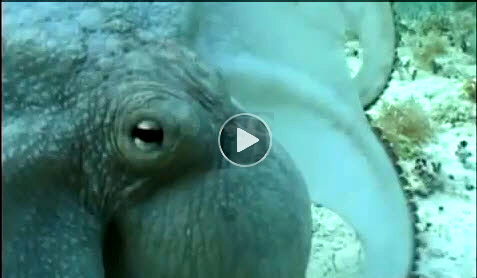 These are some of Hanlon’s top video picks of sea creatures going in and out of hiding. 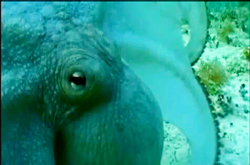 Cephalopods have several impressive tricks for blending in with their undersea surroundings: they can change color, pattern and even the shape of their skin.